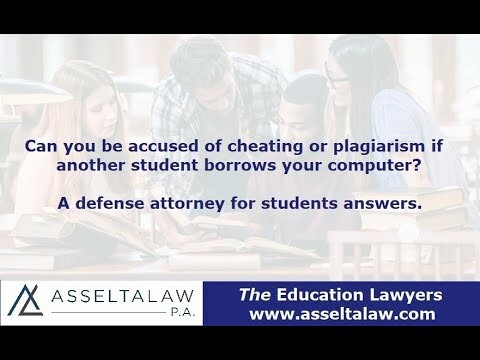 Can you be accused of cheating if another student borrows your computer? Your friend or roommate's computer is not working and they have an assignment due. They ask to borrow your computer and you agree. They submit their assignment and thank you for your help. A few days later you receive a notification from the academic integrity office that you are being investigated for cheating. You realize that the assignment in question is the one your friend turned in. How could this happen? Read on for the answer from a defense attorney for students. Your computer leaves bits of digital information in every document that is created. Your friend may have created original work but your name is on it as the author. Now you have to explain the situation and hope the professor believes you. So what should you do if you have to defend an accusation of cheating? If it was a simple misunderstanding, explain the situation to the professor. Try to provide evidence that you lent out your computer and the work was not produced by you.